From 25 October to 7 November 2018, STRIKFORNATO deployed on board USS Mount Whitney—Afloat Command Platform (ACP) of STRIKFORNATO—and performed in its role as a NATO Expanded Task Force (NETF) providing command and control of multiple strike groups which included II Marine Expeditionary Force (II MEF), 2nd Marine Expeditionary Brigade (2nd MEB), 24th Marine Expeditionary Unit (24th MEU), Expeditionary Strike Group 2 (ESG 2), a Canadian/British Surface Action Group, a Norwegian Surface Action Group and mine countermeasures assets, a Norwegian submarine, and Carrier Strike Group 8 USS Harry S. Truman for a limited duration of exercise control. STRIKFORNATO commanded more than 20 ships operating in the North and Norwegian seas and troops ashore in Norway. This exercise "tests NATO's collective response to an armed attack against one ally, invoking Article 5 of the North Atlantic Treaty" which states that "an armed attack against one or more of [the Parties] in Europe or North America shall be considered an attack against them all." July 1998 – 28 September 2000 VADM Daniel J. Murphy, Jr.
21 September 2007 – 10 August 2008 VADM James A. Winnefeld Jr.
20 November 2009 – 3 October 2011 VADM Harry B. Harris, Jr.
^ Naval Striking and Support Forces NATO, Factsheet: High Readiness Force. Retrieved September 2008. ^ Naval Striking and Support Forces (1 November 2018). "STRIKFORNATO will exercise the integration of Carrier Strike Group Eight during Trident Juncture". sfn.nato.int. Retrieved 2018-11-11. ^ Naval Striking and Support Forces. "History". sfn.nato.int. Retrieved 2018-11-11. ^ Naval Striking and Support Forces (9 November 2018). "STRIKFORNATO concludes participation in exercise Trident Juncture 2018". sfn.nato.int. Retrieved 2018-11-11. ^ Nelson, Mass Communication Specialist 2nd Class Jonathan (1 November 2018). "Commander, U.S. 6th Fleet, and Commander, Naval Striking and Support Forces NATO, Attends Trident Juncture Demonstration". c6f.navy.mil. Retrieved 2018-11-11. Smith, James L. (June 2015). "Meet NATO's Maritime 911 Battle Force". United States Naval Institute Proceedings. 141 (6). The United States Second Fleet is a numbered fleet in the United States Navy responsible for the East Coast and North Atlantic Ocean. The Fleet was established following World War II. In September 2011, Second Fleet was deactivated in view of the United States Government's perception that the potential military threat posed by Russia had diminished. On 4 May 2018, Admiral John M. Richardson, the Chief of Naval Operations, announced plans to reestablish Second Fleet amid heightened tensions between NATO and Russia. 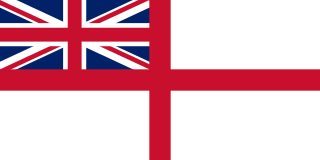 It was reestablished on 24 August 2018, with Vice Admiral Andrew “Woody” Lewis in command. USS Iwo Jima (LHD-7) is a Wasp-class amphibious assault ship of the United States Navy. The ship was named for the Battle of Iwo Jima of World War II. The ship was commissioned in 2001 and is currently in service. USS O'Kane (DDG-77) is an Arleigh Burke-class destroyer in the United States Navy. The ship was built by Bath Iron Works in Bath, Maine, starting on 8 May 1997. The ship was commissioned on 23 October 1999. She is named for Medal of Honor recipient Rear Admiral Richard O'Kane. USS Mount Whitney is one of two Blue Ridge-class amphibious command ships of the United States Navy and is the flagship and command ship of the United States Sixth Fleet. USS Mount Whitney also serves as the Afloat Command Platform (ACP) of Naval Striking and Support Forces NATO (STRIKFORNATO). The ship had previously served for years as the COMSTRIKFLTLANT(NATO Designation) / US Second Fleet's command ship. She is one of only a few commissioned ships to be assigned to Military Sealift Command. Electronic Attack Squadron 135 (VAQ-135), known as the "Black Ravens", is a United States Navy electronic attack squadron that currently operates the EA-18G Growler carrier-based electronic warfare jet aircraft. The squadron is permanently stationed at Naval Air Station Whidbey Island with a radio callsign of "Thunder". HNLMS De Ruyter is a De Zeven Provinciën-class frigate of the Royal Netherlands Navy. She was laid down in 2000, launched in 2002, and commissioned in 2004, the third ship of her class to enter service. The frigate is named after Dutch admiral Michiel de Ruyter (1607–1676). 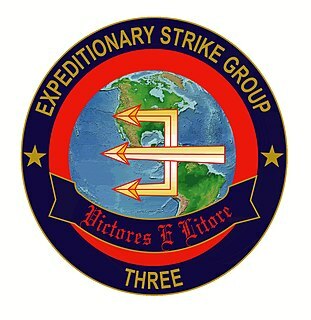 Expeditionary Strike Group 3 is an expeditionary strike group (ESG) of the U.S. Navy. Expeditionary strike groups combine the capabilities of surface action groups, submarines, and maritime patrol aircraft with those of Amphibious Ready Groups for deployment and maintaining staff proficiencies to provide fleet commanders with a highly flexible, ready fly-away unit. It is capable of projecting expeditionary striking power in the maritime, littoral, and inland environs in support of U.S. national interests. The NATO Rapid Deployable Corps – Italy (NRDC-IT) is a multi-national corps headquarters of the Italian Army. It was established in November 2001 as a High Readiness Force (HRF) of NATO. The staff of NRDC-IT is located in Solbiate Olona, a few kilometers northwest of Milan. Commander, Carrier Strike Group FOUR is the U.S. Fleet Forces Command formation charged with training and certifying Atlantic Fleet Carrier Strike Groups, Amphibious Ready Groups, and independently deploying surface ships. Its mission is to "Conduct safe and effective Strike Force Training of the Atlantic Fleet." Joint Expeditionary Force (Maritime), is the Royal Navy's expeditionary task force maintained at high-readiness and available at short notice to respond to unexpected global events. In addition to the Royal Navy and the Royal Marines, the RFTG also includes elements of the British Army and the Royal Air Force. While it is primarily poised to conduct war-fighting or amphibious operations, the JEF (M) is capable of undertaking a diverse range of activities such as evacuation operations, disaster relief or humanitarian aid. James "Jamie" Gordon Foggo III is a United States Navy admiral who currently serves as commander of U.S. Naval Forces Europe while concurrently serving as the commander of U.S. Naval Forces Africa and commander of Allied Joint Force Command Naples. He previously served as the director of Navy Staff. Prior to that, he served as the commander of U.S. Sixth Fleet. He assumed his current assignment on October 20, 2017.